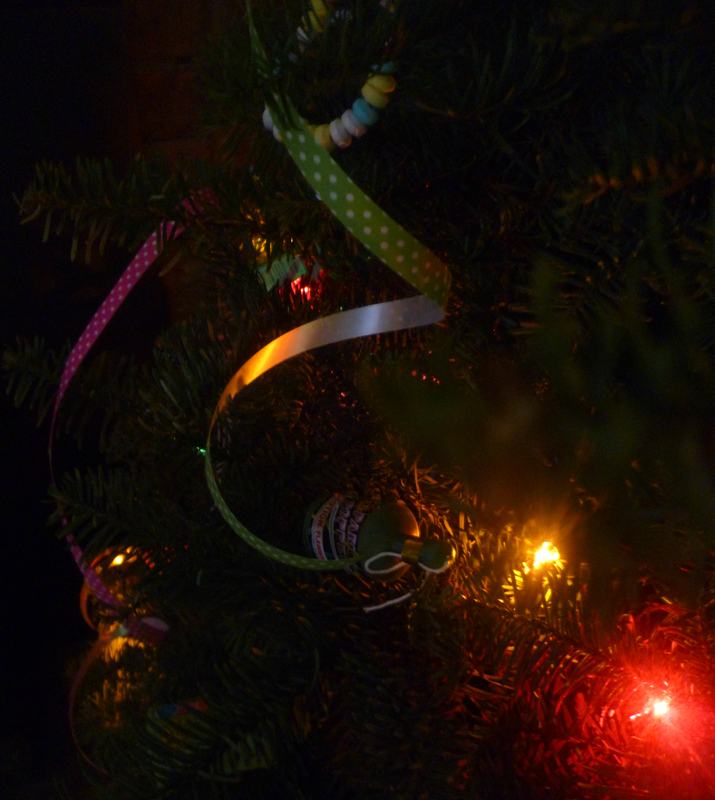 Yes, I totally copied this idea of a New Year’s Tree from here. But there was a good reason to start this New Year’s tradition. This year we opted to get our tree the day before Christmas Eve. As we pulled into the tree lot, the attendants were loading up trees to head to the wood chipper. Our tree stood out to us. It was so pretty and still in great shape. It retailed for $80 and we got it for $20. 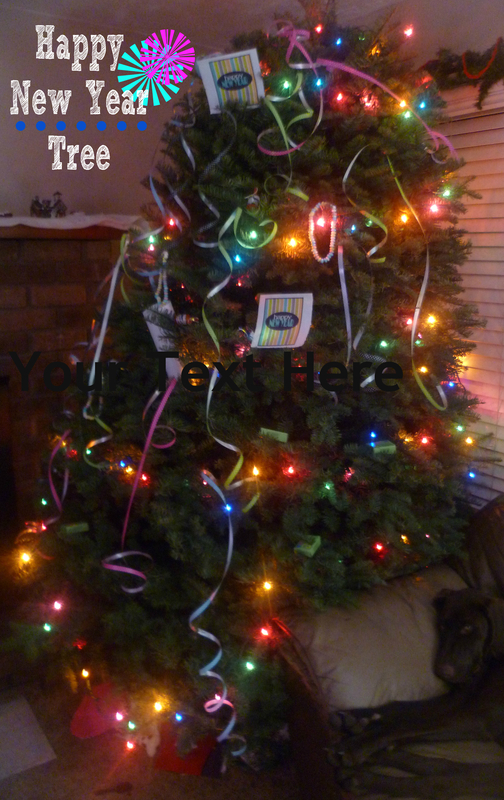 But I’ve hated to throw it away so soon after Christmas so when I saw the idea of a New Year’s tree, I was sold. 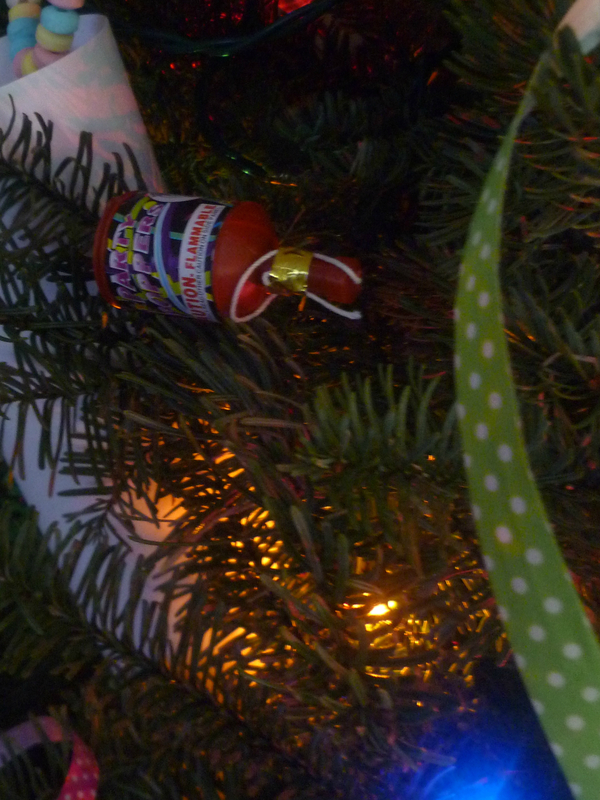 put up a Happy New Year sign I printed off the internet, and placed a few poppers in the tree. When the kids wake up tomorrow morning they will see a beautiful new tree! And I will love it because most of the things in the tree can be taken off and used. My other problem has been scrapbooking. So inside the tree I tucked a paper that they can write down some of their memories of 2013 in. It also has a place for us parents to write a few thoughts. 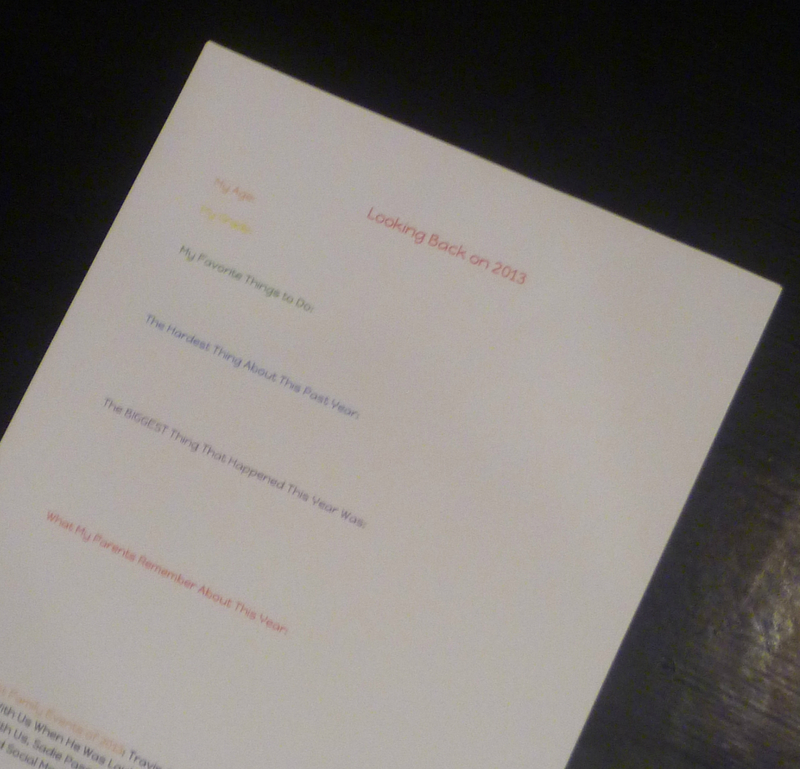 I also listed some of our notable family memories from the year. Hopefully this will help me catch up a little bit with scrapbooking. Happy New Year to you and your family, and here’s to a fun New Years tradition! I love your tree! I did the same thing! I put away my Christmas decor and added all of the colored winter items (snowflakes, small ornaments, silvery wreath) to change it up into New Years mode! I’m sharing that post tomorrow! Great minds think alike! Found you via the Lovely Ladies Linky Party! Happy New Year! I love your idea too. I love making it into a winter tree. Such a great idea! I hate getting rid of Christmas trees. This is such a great idea. Thank you for linking to the In and Out of the Kitchen Link Party. Hope to see you next week.